Top-level iPhone/iPad content management and transferring software! 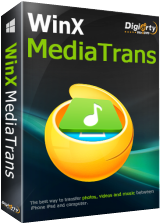 WinX MediaTrans 3.2 was available as a giveaway on January 6, 2017! 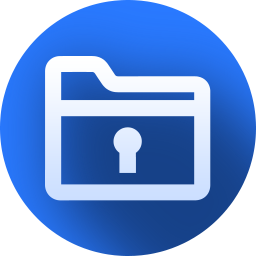 WinX MediaTrans has burgeoned into a most up-to-date iOS file manager, after several major and minor updates in the past half year. It makes easier than ever to manage iPhone iPad iPod content, export big 4K videos/photos for more space, and 1:1 transfer various files between iDevice and PC without data loss. No matter your target files are photos, videos, music, eBooks, Voice Memos, iTunes U or others, just go ahead with WinX MediaTrans to experience the No.1 fast transferring and sync speed. Supports latest version of iTunes, iOS, iPhone, iPad, etc. Transfer what you want in two ways: photos, videos, music, eBooks, Voice Memos, etc. Manage music files & playlist, e.g. build playlist, add/delete songs. Back up Voice Memos, etc. Export 4K videos or photos to free up iPhone storage. Use iDevice as USB to store Word, Excel, etc. Exclusive Offer: The Giveaway Version does not support free update. Here is a chance for you to get the Lifetime Free Upgrade Version at $0. How would you improve WinX MediaTrans 3.2? Convert homemade and commercial DVD to AVI, MP4, H.264, WMV, MOV, FLV, iPhone, iPad, iPod, Apple TV, PSP, all popular Android devices and Tablets. Copy full title/main content of DVD to MPEG2 within 5 minutes. 1:1 clone full DVD disc to ISO image. Continuously update to support the latest DVD copy protections. 5KPlayer is an all-in-one free media player for Windows (10) and Mac that works as HD video/music player, DVD player, online video downloader and AirPlay streamer. It plays MKV/4K UHD video and also turns your PC as AirPlay sender/receiver to stream movie music. Happy new year! Wish happiness, health, wealth and surprise along with you in 2017. We are honored to join GOTD's New Year rerun and present the latest version of WinX MediaTrans which was updated with more practical features to you all. Just enjoy it and any suggestions is welcomed. We know that Giveaway Version works the same as full version ,but does not support free upgrade. Now you can get the Lifetime Free Upgrade Version through two simple ways! What will work your version 3.2 without installing the new version? I do not need a gift from the imposed update - WinX HD Video Converter Deluxe !!! I like your old version. Digiarty Support Team, What will work your version 3.2 without installing the new version? I do not need a gift from the imposed update - WinX HD Video Converter Deluxe !!! I'm in no hurry. I like your old version. How much will it work? - 8 months - 1 year? Then I have to download the new version? You forced me to download the new version as WinX HD Video Converter Deluxe ? What are the gifts with the upgrade? I do not want to update! I like the old version! WinX MediaTrans 3.2 new https://www.winxdvd.com/mediatrans/ How much will it work? - 8 months - 1 year? Then I have to download the new version? Why do I need it? You forced me to download the new version as WinX HD Video Converter Deluxe ? What are the gifts with the upgrade? I do not want to update! I like the old version! green7,, ....WinX HD Video Converter Deluxe !!! .......What number? You can use the old version as long as you can, if you do not install the new version. And you can choose to install it or not. I also have WinX HD Video Converter Deluxe which just pop up a new version notification when hit "Check for update" button. green7, You can use the old version as long as you can, if you do not install the new version. And you can choose to install it or not. I also have WinX HD Video Converter Deluxe which just pop up a new version notification when hit "Check for update" button. Will not install as admin or not admin. Missing 7z.dll file. Tried to download twice. I have iTunes. can't get it to install. no software in package. download from you all the time. never had this problem before. Install worked fine on Win10 64bit. It didn't prompt me for the Administrator privilege which seems strange but it functions properly. I like the interface and the ability to pick and choose files for specific handling is really useful for iphones/ ipads etc. I suspect that when Apple updates iOS the app will cease to function so picking up the 50% discount on the pad version might be a good idea. The program cannot run under a user who is not a local Administrator... it gives an error of "The file is corrupt. Please reinstall the program! ", while running it using a local admin account - makes it load just fine... what can I do? Hello, The program cannot run under a user who is not a local Administrator... it gives an error of "The file is corrupt. Please reinstall the program! ", while running it using a local admin account - makes it load just fine... what can I do? Easy install and registration on Win 10 AE 64bit. Surprisingly nice GUI, though fixed size window, and works well. May even be an improvement on my current iFunBox and iBackupBot software which have similar functionality (freeware). Easy install and registration on Win 10 AE 64bit. Surprisingly nice GUI, though fixed size window, and works well. May even be an improvement on my current iFunBox and iBackupBot software which have similar functionality (freeware). I like the making ringtone feature most. Very easy to use. Thanks digiarty and gotd for this nice freebie. I downloaded winx mediatrans 2.0 from GOTD in the past. WOW, the new version adds some great features! It allows me to easily change default paths as I wish now, and I'm able to manage my voice memos :) I like the making ringtone feature most. Very easy to use. Thanks digiarty and gotd for this nice freebie. After downloading the complete iTunes-x64(160Mb) you can extract that file. I don't have a i-device, so I cannot test it. After downloading the complete iTunes-x64(160Mb) you can extract that file. And then there will a couple of files: AppleApplicationSupport.msi AppleApplicationSupport64.msi AppleMobileDeviceSupport6464.msi AppleSoftwareUpdate.msi Bonjour64.msi iTunes6464.msi SetupAdmin.exe Maybe only Bonjour.msi will help to connect with the i-device Or just AppleApplicationSupport I don't have a i-device, so I cannot test it. I was always attracted with the freebies. Downloaded and registered very successful, Winx mediatrans is definitely a reliable and practical photo transfer software for me. Apart from its fast media transfers, it also works very stale and easy. Drag and drop selected photos is very useful between computer and iOS devices. There’s no need to read the how-to-guide, from the clean interface tips, I can easily finish the photo backup job. I think it pretty silly that so many downvote this due to it being iOS rather than some magical universal works with all mobile OS's program. Anyway, I have iDevices so d/l and installed easily and quickly. Registration s/n gotten at specified site - no rigamarole to go through. I find this quite useful since the worst program ever devised by humans, iTunes, doesn't work properly here. I can't move 'home movies' which to me are movies I ripped from my DVD collection, onto the iDevices for some reason starting with the last iTunes u/g (ha ha on upgrade). In testing, it does just what it says it can do. I'm not much a fan of these minimal UI's. I don't see the benefit to removing the standard and well loved menu bars. Upvote anyway but I'd really like a conventional UI. I think it pretty silly that so many downvote this due to it being iOS rather than some magical universal works with all mobile OS's program. Anyway, I have iDevices so d/l and installed easily and quickly. Registration s/n gotten at specified site - no rigamarole to go through. I find this quite useful since the worst program ever devised by humans, iTunes, doesn't work properly here. I can't move 'home movies' which to me are movies I ripped from my DVD collection, onto the iDevices for some reason starting with the last iTunes u/g (ha ha on upgrade). In testing, it does just what it says it can do. I'm not much a fan of these minimal UI's. I don't see the benefit to removing the standard and well loved menu bars. Upvote anyway but I'd really like a conventional UI. I successfully used this software to export hundreds of photos to my PC, to free up space for iOS 10.2 upgrade. The speed is impressive, I can't believe the job is done less than 1 minute! It's really useful, especially for those who still use 16GB iPhone. And, I also like it's auto video converting feature. Play videos on iPhone sometimes is annoying due to the compatible issues, but this software understands our feelings, it can auto detect and convert videos to MP4 to be playable on any iDevice. it's pretty well..
Why can't it actually browse the iOS and show everything? DigiArty WinX MediaTrans is NOT a "file manager". It's a "viewer / copier", and ONLY for Apple-approved USER files. MediaTrans does not manage non-Apple user files, such as Amazon Kindle files. When you can transfer Kindle eBook media files, get back to me. MediaTrans does not manage Apple iOS files. When you can transfer all Apple media files, including system resources outside of what iTunes can transfer, get back to me. If anyone else knows of a "file manager" that can actually "manage files" on an iDevice from a PC, PLEASE share!
. Why can't it actually browse the iOS and show everything? DigiArty WinX MediaTrans is NOT a "file manager". It's a "viewer / copier", and ONLY for Apple-approved USER files. MediaTrans does not manage non-Apple user files, such as Amazon Kindle files. When you can transfer Kindle eBook media files, get back to me. MediaTrans does not manage Apple iOS files. When you can transfer all Apple media files, including system resources outside of what iTunes can transfer, get back to me. If anyone else knows of a "file manager" that can actually "manage files" on an iDevice from a PC, PLEASE share! . Peter Blaise: APPLE locks out everyone else from accessing their system ROOT. That's *everyone. * So what you ask is NOT POSSIBLE! So how about when Apple changes this, you get back to US?! Frank, Its called jailbreaking if you want to access the root directory. [ Frank ], so THAT'S why DigiArty WinX MediaTrans can't find my Amazon Kindle ebooks on my Apple iPad -- because DigiArty hasn't gotten permission. So what exactly is DigiArty doing special that they are asking us to pay them for?
. [ Frank ], so THAT'S why DigiArty WinX MediaTrans can't find my Amazon Kindle ebooks on my Apple iPad -- because DigiArty hasn't gotten permission. So what exactly is DigiArty doing special that they are asking us to pay them for? . [ John ], thanks for your insight. So, once jailbroke ( ? ), what PC software does anyone use to look at an Apple idevice as just simple, all accessible, filing storage?
. [ John ], thanks for your insight. So, once jailbroke ( ? ), what PC software does anyone use to look at an Apple idevice as just simple, all accessible, filing storage? Anybody? . Not everyone owns an iPhones/iPads so would be nice to change this up every so often with apps that work with Andriod devices (Tablets and such) also. Too one-sided otherwise. infotekkie, I have the reverse problem. I own an Iphone, and Android software won't work on it. That's too one-sided! I have used iMazing (www.imazing.com) for some time, it's great, you don't need to install iTunes, though it will work alongside it if you want it to. Dawei, the only problem is, it const's US$ 40! ITunes for Windows 10..., which version to use? Loads of problem.., newest version installed..., not working.., read forums.., Installed recommended older version..., worked for a while.., then stopped. In short; can't see any point downloading this software if it won't work without iTunes which I can't find the correct version for Windows 10 for. ITunes for Windows 10..., which version to use? Loads of problem.., newest version installed..., not working.., read forums.., Installed recommended older version..., worked for a while.., then stopped. In short; can't see any point downloading this software if it won't work without iTunes which I can't find the correct version for Windows 10 for. Reading the comments, I have sympathy for my Apple friends. I'm an Android guy, but shared this anyway to help my poor friends :) . Reading here that you need Itunes installed on a Windows PC to even use this software, makes me happy for my decision to go the Android way. Being a several months user of WinX MediaTrans v2.0 (grabbed a free copy here before), I'd like to recommend it as an all-round solution. With MediaTrans, it is simple to identify the content of iPhone correctly, and sync movie, music or photo from PC to iPhone and the other way around fast. Another benefit is video conversion, which allows me to convert video to .mp4, the right format for iOS device. I'm also happy to see new version 3.2 right here and loads of new features useful to me. Create iPhone ringtone, back up voice memos, transfer iBook and so on. Installed without problem and enjoyed it. Thanks GOATD and Digiarty for today’s giveaway. It really made my day! Being a several months user of WinX MediaTrans v2.0 (grabbed a free copy here before), I'd like to recommend it as an all-round solution. With MediaTrans, it is simple to identify the content of iPhone correctly, and sync movie, music or photo from PC to iPhone and the other way around fast. Another benefit is video conversion, which allows me to convert video to .mp4, the right format for iOS device. I'm also happy to see new version 3.2 right here and loads of new features useful to me. Create iPhone ringtone, back up voice memos, transfer iBook and so on. Installed without problem and enjoyed it. Thanks GOATD and Digiarty for today’s giveaway. It really made my day! Thanks for adding more features, actually transferring photos from computers to iOS devices is a huge plus for me! It would be much easier to share my pictures on social media. And also thank you GOTD for this giveaway. Love it. Accidentally commented through FB, glad I could delete it. I didn't wish to exposure my personal info. Thanks for adding more features, actually transferring photos from computers to iOS devices is a huge plus for me! It would be much easier to share my pictures on social media. And also thank you GOTD for this giveaway. Love it. Accidentally commented through FB, glad I could delete it. I didn't wish to exposure my personal info. You download the program to your PC. During the process of installing the program on your PC you get a pop up saying to connect your iDevice (such as iPad). After the iDevice is connected the program is transferred to it. Next go to the link on the PC to get your registration code and then plug the registration code into the program on your PC. Your program on the PC will change from unregistered to a registered program though the screen does not show the word "registered". The screen just no longer shows "unregistered". There is a note during the installation process to make a change to iTunes to turn off automatic synchronization between your iDevice and iTunes. Hopefully this comment will make your installation and registration easier. You download the program to your PC. During the process of installing the program on your PC you get a pop up saying to connect your iDevice (such as iPad). After the iDevice is connected the program is transferred to it. Next go to the link on the PC to get your registration code and then plug the registration code into the program on your PC. Your program on the PC will change from unregistered to a registered program though the screen does not show the word "registered". The screen just no longer shows "unregistered". There is a note during the installation process to make a change to iTunes to turn off automatic synchronization between your iDevice and iTunes. Hopefully this comment will make your installation and registration easier. So you need iTunes on your computer !!! Why is this so ??? Why can't you just transfer files to a Windows PC without having Apple software ??? So you need iTunes on your computer !!! Why is this so ??? Why can't you just transfer files to a Windows PC without having Apple software ??? BarrysCool, I'm no fan of The Walled Garden that is an Apple product, though my wife is. She loves her 9.7" iPad Pro. Me, I can copy and transfer music, image and video files and folders back and forth between my Android slab and my PC in a fraction of the time she spends trying to sort out hers. But then, she can't see inside her Apple device the way I can see inside mine. Can't easily access its folders and files the way I can access mine. It's the trade-off she made for Apple security. So. Though I don't like Apple and don't want Apple, I understand why Apple is the way it is. For that reason, I have Apple iTunes on my PC. It's just a program. Not an ogre; not an infection; not something that accounts for 95% of my computer's memory -- yet to judge by the wailings on here from some posters every time iTunes is mentioned, one might conclude it was all that and more. A 30-second DuckDuckGo search would yield all the information any anti-Appler needs to establish if there's software out there which functions in similar fashion to today's giveaway but without need of iTunes. Off the top of my head, I can think of CopyTrans. There may well be more. <b>BarrysCool, </b> I'm no fan of The Walled Garden that is an Apple product, though my wife is. She loves her 9.7" iPad Pro. Me, I can copy and transfer music, image and video files and folders back and forth between my Android slab and my PC in a fraction of the time she spends trying to sort out hers. But then, she can't see inside her Apple device the way I can see inside mine. Can't easily access its folders and files the way I can access mine. It's the trade-off she made for Apple security. So. Though I don't like Apple and don't want Apple, I understand why Apple is the way it is. For that reason, I have Apple iTunes on my PC. It's just a program. Not an ogre; not an infection; not something that accounts for 95% of my computer's memory -- yet to judge by the wailings on here from some posters every time iTunes is mentioned, one might conclude it was all that and more. A 30-second DuckDuckGo search would yield all the information any anti-Appler needs to establish if there's software out there which functions in similar fashion to today's giveaway but without need of iTunes. Off the top of my head, I can think of CopyTrans. There may well be more. MikeR, iTunes is in need of a complete overhaul as it is not and never was fit for purpose. But its ok to install it and forget it as it is needed for 3rd party programs such as this to function. We need a file manager iOS and the driver Apple - device. software manufacturers will not go into open conflict with Apple. Cydia - is not out(exit).Cydia + Trash(Garbage). BarrysCool, We need a file manager iOS and the driver Apple - device. software manufacturers will not go into open conflict with Apple. Cydia - is not out(exit).Cydia + Trash(Garbage). BarrysCool: To DIRECTLY answer your question, it is because Apple has not released to ANY software maker the specific access information needed to get into Apple hardware. So there is NO WAY around using the Apple drivers which come with Itunes. It is a universal technical limitation created entirely by Apple. GordonT: Thanks to both you and to John (below). Those who are so unnecessarily paranoid about iTunes on their PC could always extract the iTunes drivers, but I guess not everyone knows how to do that. Your helpful comment about CopyTrans is something of which they should take note. As to John's observation, couldn't agree more. I've always said if anyone wishes to see some of the worst designed and engineered software anywhere, then go to the much-vaunted Apple. Its iTunes is in a league of its own for studied, serial, supreme ineptitude. <b>GordonT:</b> Thanks to both you and to <b>John</b> (below). Those who are so unnecessarily paranoid about iTunes on their PC could always extract the iTunes drivers, but I guess not everyone knows how to do that. Your helpful comment about CopyTrans is something of which they should take note. As to John's observation, couldn't agree more. I've always said if anyone wishes to see some of the worst designed and engineered software anywhere, then go to the much-vaunted Apple. Its iTunes is in a league of its own for studied, serial, supreme ineptitude. GordonT, From my understanding, copytrans is yet to be able to keep up with iOS constant updates by iTunes. Charges for fixs by this Developer makes their software not so freeware. Sorry, I find this GOTD useless as it needs Itune to work. I installed it but first launch asked for it. No Itune on my PC. I don't have any iOS device but I do need to handle sometime my elderly devices. Unfortunately this GOTD is not to my rescue. Installed and can't wait to give it a shot on my bros lappy. At first glance, the interface is pretty nifty without any bells and whistles. Just click with unquestionable direction toward each feature like sync photo, manage video and make ringtone, just name a few. I will keep it as I've been fed up with iTunes for my iPhone. Installed and can't wait to give it a shot on my bros lappy. At first glance, the interface is pretty nifty without any bells and whistles. Just click with unquestionable direction toward each feature like sync photo, manage video and make ringtone, just name a few. I will keep it as I've been fed up with iTunes for my iPhone.